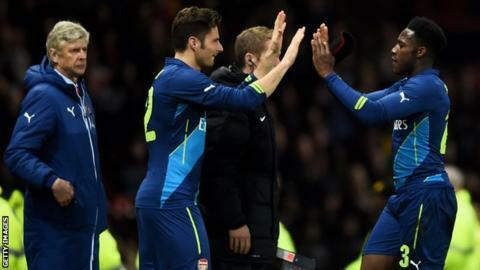 Clubs will be allowed to use a fourth substitute during extra time in the latter stages of this season's FA Cup. The format, subject to approval from the International Football Association Board, was trialled in the Copa America this summer. The rule will be introduced in the FA Cup from the quarter-final stage. FA chief executive Martin Glenn said the move will add "intrigue and interest", adding that "player welfare" had also been a consideration. "It is important The FA continues to look at how it can further add to the drama and spectacle of a competition loved by millions," he added. The FA's decision to scrap replays from the quarter-final stage was another factor in the move. "With the cup now adopting a straight knockout format from the quarter-finals onwards, the introduction of a fourth substitute in extra time will bring extra intrigue and interest," Glenn said. "Also, from a technical point of view, it will be interesting to see how managers use the chance to make an additional substitution in such high-profile games and the impact it has on the final result." This season's competition gets under way on Friday, 5 August when 184 preliminary matches take place.